Halloween is over. Already the shops are putting out their Christmas displays as the cold Winter draws in. Here is some whats on in Dublin Christmas 2018 to entertain visitors. The eXPERIENCE + iNNOCENCE Tour complements the release of the band’s 14th album “Songs of Experience”. The tour is a development of the innovative 2015 tour and will explore the latest in sound and lighting technology. 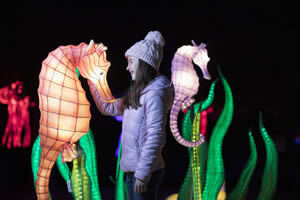 This year’s Wild Lights at Dublin Zoo features illuminated giant silk lanterns showing giant squid, emperor penguins, blue whales, seahorses and more aquatic life in a fantastic display. Winter Wonderland is a theme with polar bears and walruses as is Celebrating China. There will be a 16-metre high silk Christmas Tree. 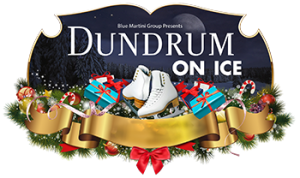 There has been Ice Skating in Dundrum Town Centre every year since 2010. The best ice skating experience in Dublin today whether you are a beginner or a seasoned professional. 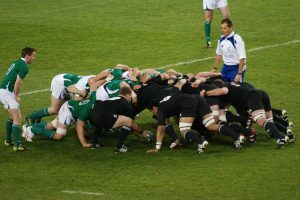 This is the first of Ireland’s Guinness Series international test matches. 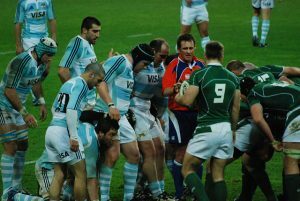 Argentina will be no pushover having knocked Ireland out quarter final stage in Cardiff in 2015. Ireland have had a very successful 2018 but have a few injuries which may affect their performance. It’s Christmas Eve. A marvellous party is taking place where the mysterious Uncle Drosselmeyer brings gifts for all the children. Clara’s magical gift, Nutcracker, leads them to a fairy-tale world where Clara defeats the Mouse King and his army and they go to the Land of Snow and the Kingdom of Sweets together. This production features an international cast of dancersand is a wonderful experience of fantastic music and dance for all the family. This Russian production of Swan Lake has its first performance outside of Russia in Dublin and it promises to be a special event with fantastic costumes and sets showcasing the talents of some of Russia’s best dancers. Music is supplied by the RTE Symphny Orchestra. 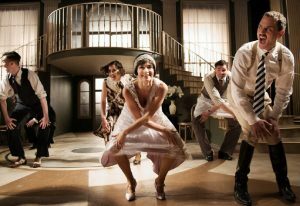 This was a sell-out in 2017 sell-out run in 2017, with its unique on the 1920’s jazz age story where the audience is essentially part of the story. The theatre is transformed into the Gatsby Mansion, the seats are removed from the auditorium and audiences will experience one of Gatsby’s legendary parties. Audiences are encouraged to dress in 1920s style! The last time these teams metwas in 2011 when The Republic were easy 5-0 winners at the Aviva stadium. Things have changed since then. 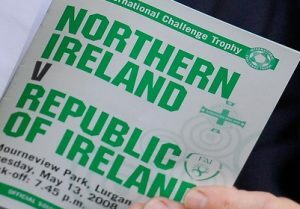 Northern Ireland under Michael O’Ne’ll have come on in leaps and bounds whereas The Republic have remained static (at best), so it’s likely to bea more even contest this time. This is just a friendly but nevetherless there is pride at stake so a hard fought contest is expected. The second game of Ireland’s 2018 Guinness Series and what an exciting prospect as they face the New Zealand All Blacks. Ireland’s first ever win against the All Blacks came in November 2016 in Chicagoand they will be trying to replicate that victory on their home turf at the Aviva. 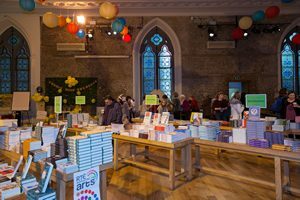 The Dublin Book Festival has been running since 2006 and it supports Irish publishing and Irish bools and authors in an entertaining atmosphere, mainly at Smock Alley Theatre but there will also be events at the National Library, at the Gutter Bookshop, at the RDS Library, at the Irish Writers Centre on Parnell Square and other venues including many Dublin city libraries. 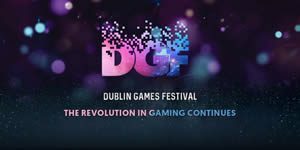 The Dublin Games Festival will be of great interest to gaming fans, those interested in VR, AI and all things related to computer development. It will feature esports, expo, experiences, marketplace, business and music. For more info visit the Dublin Games Festival Website. This is Ireland’s last game in the 2018 Guinness Series with a visit from the USA Rugby team. Ireland would expect to win this one comfortably but USA are an up and coming team who are improving with experience. They defeated Scotland in June 2018 and will be hoping to take another scalp against Ireland. Boy George and Culture Club are on a new phase of their career and are putting together their first new music in 20 years. 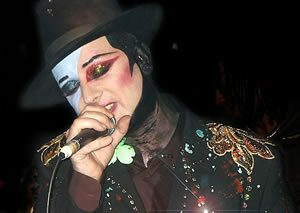 This show will feature some new music but will have lots of the old favourites like Do You Really Want to Hurt Me and Karma Chameleon which helped them sell 150 million singles & records globally. It’s Panto time again! 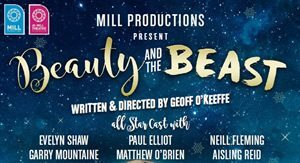 The Gaiety Theatre shoul know how to stage a Panto as it has been doing one every year year since 1873. You never know what to expect but you can be sure that The Snow Queen will be full of gags, laughs and seasonal merriment mainly at the expense of politicians and celebrities. Great family fun around Christmas! 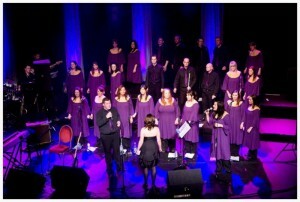 The Dublin Gospel Choir have become an essential part od the Dublin Christmas entertainment. 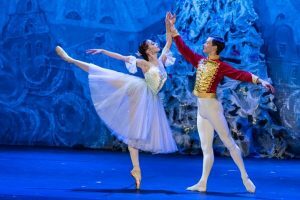 They return to the Civic Theatre with a selection of Christmas favourites performed in their own inimitable style. Dublin Gospel Choir’s powerful voices and rich harmonies are perfect for this joyous season. They have sung with Rod Stewart and Ennio Morricone and many more famous artists and are now well known performers on the music scene. Kylie Minogue has been in the public eye since 1979 when she appeared in the Australian soap ‘Neighbours’. Almost 100 million records and 40 years later having survived serious health issues she is still as energetic as ever, doing lots of tours and new recordings. Her fans will remember “I Should Be So Lucky”, “The Loco-Motion”, “Especially for You”, “Hand on Your Heart”, “Better the Devil You Know”, “Confide in Me”, “Spinning Around” and her new track “Dancing”. This production is centred around her new album Golden, but she will alsoplay many of the old favourites. The hardy annual favourite Beauty and the Beast tells the story of Belle and the horrid Beast in his lonely castle. This is story of friendship and love, with fantastic song and dance routines and spectacular special effects to entertain all the family. 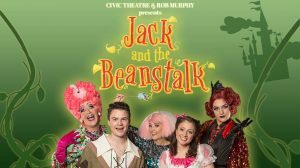 Another Panto, this time at The Civic Theatre. Everyone knows the story of Jack, the giant and the magic bean. Great entertainment for all the family with a great cast including Sorcha Furlong (Orla in Fair City), Enya Martin (YouTube) and Morgan Crowley (West End Star). This is a fun filled twist on Aladdin packed with songs, dancing and hilarious comedy! 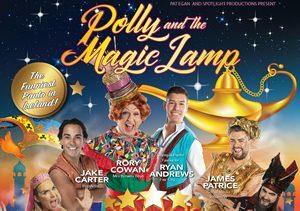 Rory Cowan as Polly will be joined by Ryan Andrews (Fair City), Jake Carter, James Patrice, Erin McGregor (Dancing with the Stars) and Rob Vickers (Les Misérables) are some of the All Star Cast along with the talented dancers and performers from Spotlight. Funderland Amusement Park event in Europe features Rollercoasters and as many as fifteen different thrilling attractions carefully selected from among the top attractions in Europe. Dare to be suspended upside down, turned over or whisked through the air. There is an extensive selection of Juvenile attractions for young children to enjoy. Funderland is a tried and trusted brand which has been providing thrills and excitement for families for decades.